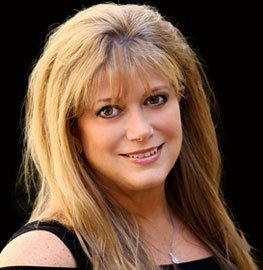 Tiffany Dymond has been in the Real Estate business since 1999 and she currently holds dual licenses as a Real Estate Agent and a Certified Residential Appraiser. Tiffany has lived in Gulfport on the Mississippi Gulf Coast her whole life. Tiffany graduated from St. John Catholic High School in Gulfport and attended the University of South Alabama. Tiffany is a member of the National Association of Realtors and the Mississippi Gulf Coast Realtor Association. Most recently Tiffany has earned her designation as an Accredited Buyers Representative (ABR). Tiffany lives in Gulfport with her five children. She is involved in many community organizations and activities. Real Estate is a family business for Tiffany. She takes great pride in her work and she would love the opportunity to assist you in any of your real estate investment endeavors. Tiffany specializes in single family residential and new construction. Owen & Co., LLC Real Estate has a long family history serving the Mississippi Gulf Coast since 1945. Let our broad knowledge and experience of the market help you meet your needs, whether buying or selling real estate. We specialize in both commercial and residential properties in cities all along the Gulf Coast, including Gulfport, Biloxi, Ocean Springs, Diamondhead, Bay St. Louis, Waveland, Pass Christian, Long Beach, D’Iberville, Saucier, St. Martin, Vancleave, Kiln, Gautier, Moss Point, Pascagoula and Wiggins. Owen & Co., LLC Real Estate maintains a strong knowledge of what’s available in the area and how much properties in the community are selling for. Prices can vary greatly, depending on quality, size and location. Single-family homes abound, as do vacation homes and condos for those looking for a beach retreat on the spectacular Gulf Coast. There’s no shortage of restaurants, shops and attractions for you to enjoy, whether you’re relocating to the area or looking for a vacation spot. The beaches here are some of the most beautiful in the country, featuring immaculate, sandy white shores. Contact Tiffany Dymond with Owen & Co., LLC today and tap into Tiffany’s invaluable experience and knowledge.